In our coaching relationship together, we will focus on your primary concerns, health, life history and goals. Within the context of Ayurveda, we will map out a ‘you-focused’ plan that can realistically fit into your life. Some examples of suggestions may include: specific foods, spices, teas, herbal supplements, yoga poses, breath practices, skin care, massage, cleansing and shifting certain paradigms. It’s all about getting to the heart of what you are here to do and how you are going to care for yourself along the way. Request an application and return it to me by email. This application will help you to see if this coaching program is a fit for you at this time. We will talk for 30-minutes by phone. I will share more about the program and answer your questions. Initial Consultation – 90 minutes. 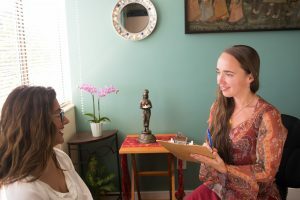 During this first session, we evaluate your Ayurvedic Constitution and set up short- and long-terms goals for the next 3 months. 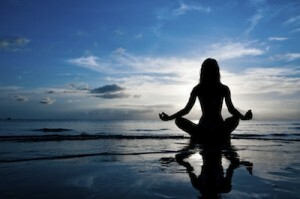 I will offer loving and supportive Ayurvedic guidance to keep you progressing along your path. This guidance includes 8 more 1-hour phone calls. During each of these sessions, we will look at what’s working well, what shifts you’re noticing and how you can gently transform what is getting in the way of your goals.